The controlled media in Germany prevaricated for days before reporting the racial nature of the attacks, and some even went out of their way to deny that the nonwhites involved were “refugees” at all. However, the weight of witnesses, video material, and social media revelations have forced the Lügenpresse (the “lying press,” as they are known in Germany) to finally admit the truth. The New Observer, on the other hand, reported on the attacks straight away, and was the first to point out that the perpetrators were invaders from the Middle East and North Africa—all allowed into Germany by the open borders immigration and “refugee” policies of successive German and western European governments. The police were called in, but only about 150 officers were available at the time, and were hopelessly outnumbered by the invaders, who reacted by shooting fireworks at the policemen as well. After several clashes, about 1,000 of the nonwhites headed off toward the railway station entrance, where the mass sexual attacks took place. 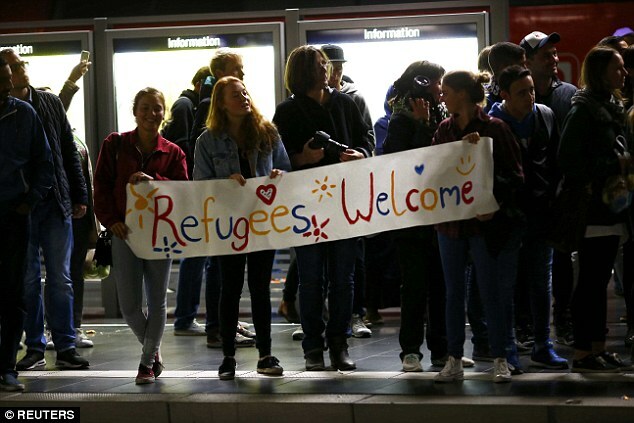 Police chief Albers confirmed that at least one German girl had been raped during the violence. At least 80 other girls had come forward to report sexual assaults, while another 60 had reported thefts of bags, cell phones, and purses.